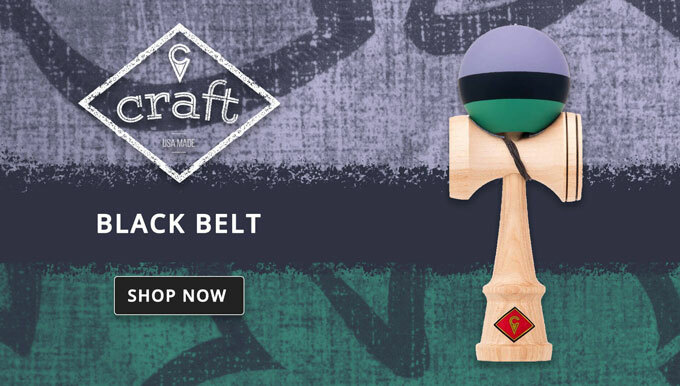 Kendama USA is proud to release its newest addition to the Craft Colors line; The Black Belt, available now. The black belt encapsulates the best quality and playability perfected for modern play style. The black belt features a new triple split color design distinguished by the thick black stripe on the ball. The top half of the tama is a smooth pastel purple, and the bottom 30% is a fresh minty green. This unique tama is coated with our silk paint.